Aiming to supply the Egyptian market with a variety of furniture designs and accessories to satisfy the demand of the developing housing projects. 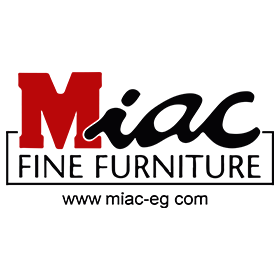 Miac's products carry an extended collection of name brands , shipped from their countries of origin world wide. coordinated with a mixture of art work and accessories together with adequate lighting fixture all under one roof and ready for immediate delivery. Miac relies on its trained team to accomplish our work in a professional way. At Miac ,not only do we provide a full range of different furniture styles but we assist our clients with different ideas to make the best use of their limited space. In the year 2000 Miac developed a new furniture contracting section, catering to hotels, business centers VIP halls etc. We are proud to have accomplished an important number of projects.